For the last few years I've had a real struggle with finding the perfect at home product to do my nails and keep them looking as good as they do when I get them done in the salon. The closest I got was a combination of Essie & Nails Inc polishes with Essie top coat - good, but not good enough. It would still chip within the week, not ideal. 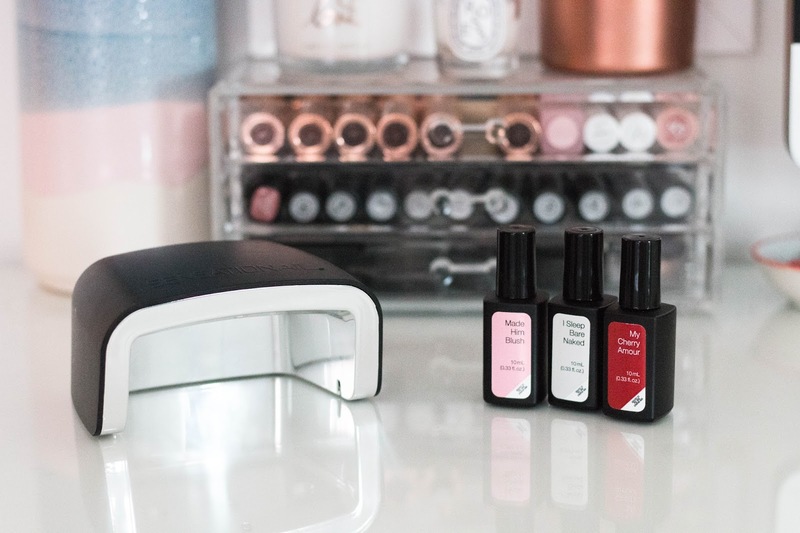 I'd been curious about the at home gel nail systems for years but there were so many to choose from I couldn't make up my mind. After doing my research and finding out who had the range of colours that appealed most to me I deciding to go with the Sensationail Express system. Plus I had a ton of advantage card points that helped! First things first, I bloody love it. After having it for just over two months I haven't yet reverted back to normal nail polish, its just not the same for me. The whole Sensationail Express system is incredibly foolproof. It takes me about 10 minutes max to do my nails and I love the fact that there is no drying time. You just whack your nails under the lamp provided for 30 seconds and they are set. It amazing, the amount of my life I have wasted waiting for my nails to dry is insane, let me tell you! The lasting effect of the manicure is also great! I find that the red shades are the ones that last the longest on me and they also last about 2 weeks if you have a more rounded nail. I painted my nails with 'My Cherry Amour' over the Christmas period and I didn't have to repaint. I just gave myself one extra layer on Christmas eve as they had grown out a bit! I am so impressed with this system. Two of my other favourite colours are 'I Sleep Bare Naked' & 'Red Your Profile' - both of which last a treat on me. Have any of your tried an at home gel manicure system, if so tell me more in the comments below!